Home > MUSIC>Palha D'Aço "Sobreviver"
April 97, Angra do Heroismo Vially asks Freddy if he wanted to play bass in a band. Freddy responds with: "Weipa, throw me that guitar over here and start singing." Thus began the first Punk Rock band from the island of Terceira Island, and perhaps, the first in the Azores. Following the wave of Mata-Ratos, with a lyrical level taste of Ena Pá 2000, Palha D'Aço gave several concerts and recorded an EP with the themes "Não tem nada a ver", "Black Beer", "Grandiosa Vela "and" Em Honra de um Homem". After an amazing performance for thousands of people in the celebrations of the April 25 holiday, in Praça Velha, Palha D'Aço were catapulted to where they wanted, to end the night drinking Malaquias wine. 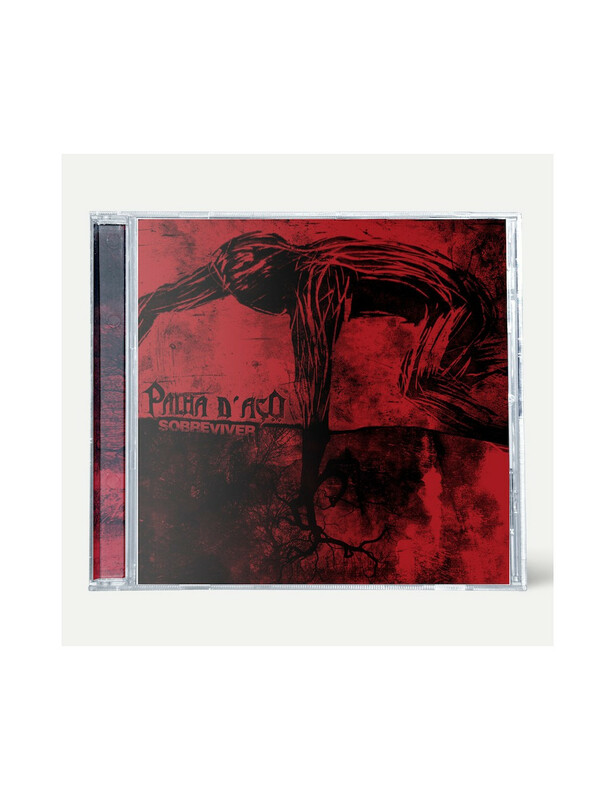 After a hiatus of more than one decade (although with several performances in Clube Naval da Urzelina 2004, Recreio dos Artistas 2007 and Rock in Rolo 2008, the band Palha D'Aço is back with its second album.